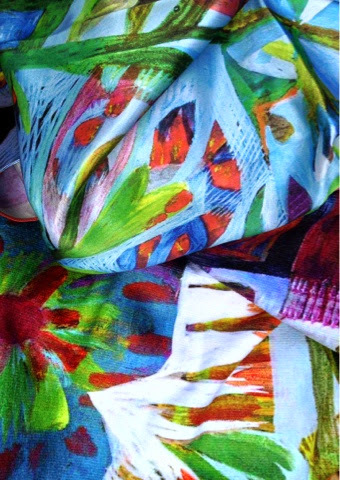 'Midsummer' a painting I completed last July was one of the winners in the Bags of love's silk scarf contest recently. Even though I am a full time painter now, my original training was as a textile designer specialising in surface pattern design and silk screen printing. It is remarkable how our lives are influenced by digital technology, and even though I do not do much designing on computers at this point, I just love the fact that a 1mx1m painting can be photographed and the image used for a mulitcoloured crisply printed textile. 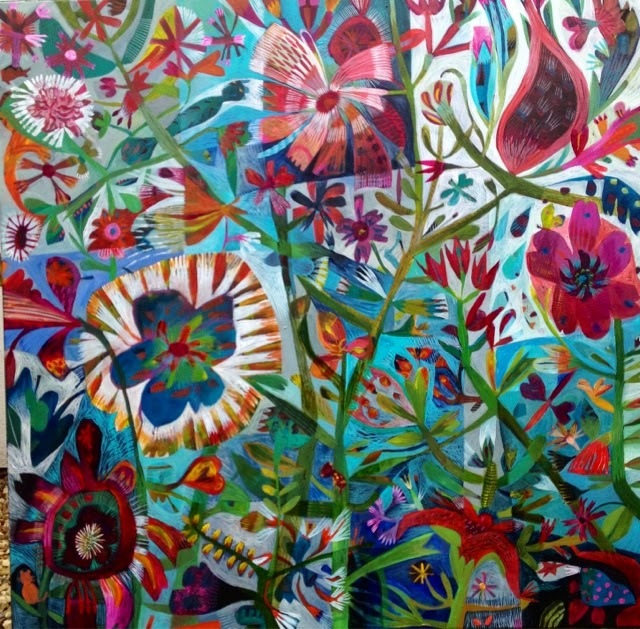 I see wonderful options and ideas blossomming for applications of my paintings and designs. I am selling through Spoonflower as well, and the range will expand further in September. This is a towel printed with the 'Midsummer' design. 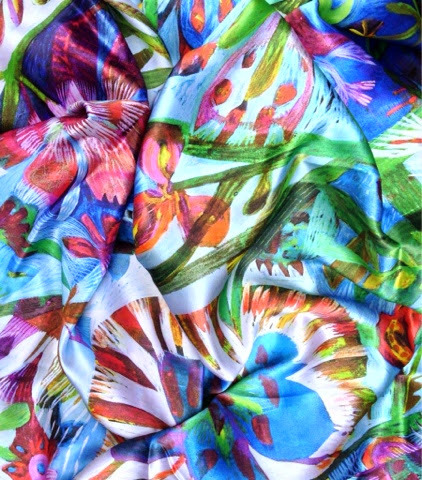 Silk scarf printed with 'Midsummer' design.